Bill Blalock has written many articles, interviewed on various media outlets, conference speaker, panelist as well as workshops! 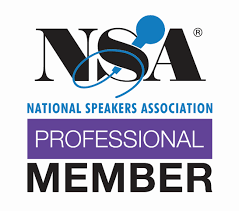 He is also an active Professional Member of the National Speakers Association [NSA]. These are words that describe what you will experience when you hear Bill live! Whether a small group or large convention, the delivery is the same! How A.I. is changing the universe. Master the skill of building successful relationships that get results! How to overcome and do something great in your life! How to manage and get what you want out of life. How to Live with a Purpose. Why Life Balance really doesn’t work. A new definition of success and hope for the future. Why “mindfulness” is now the key to success! PRESENTATIONS CAN BE CUSTOMIZED FOR YOUR SPECIFIC BRAND OR AUDIENCE INTERESTS.